EUR is under pressure due to the political issues in Italy and France. 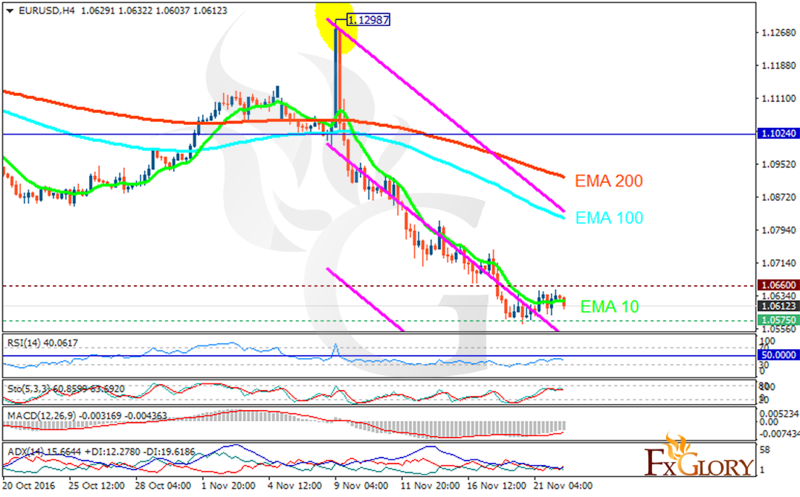 The support rests at 1.05750 with resistance at 1.06600 which both lines are below the monthly pivot point at 1.06650. The EMA of 10 is moving horizontally and it is below the EMA of 100 and the EMA of 200. The RSI has grown towards the 50 level after spending many days in oversold area, the Stochastic is moving in high ranges and the MACD indicator is in negative territory. The ADX is not showing any clear signal. Buyers can target 1.0650 for today.